Holiday Harbor condo for sale in Perdido Key Florida. Gorgeous Holiday Harbor end unit condo with beautiful views overlooking Holiday Harbor Marina. Open floor plan with 3 bedrooms and 2 full baths. Fully furnished with washer and dryer. Close to N.A.S and the beautiful beaches of Perdido Key. Boat slips are available at marina. 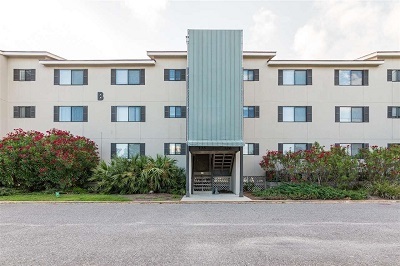 Kayak launch and a sidewalk that leads all the way to the Gulf of Mexico, community pool, and Sunset Grille Restaurant right around corner – don’t miss seeing this condominium! Holiday Harbor condos in Perdido Key is a waterfront complex located on River Road. The complex is across from the marina and is walking distance to Sunset Grill. From the balconies, you can enjoy incredible views of the bay & river – an array out outdoor activities include inshore fishing, offshore fishing, and abundance of protected water, are all just minutes away.